On Friday, a candidate for the University of Pretoriaâ€™s student representative candidateÂ made headlines in several national news outlets. The media buzz did not appear to be prompted by anything particularly controversial that heÂ had said but rather by the fact thatÂ he is â€œgay, white and from the EFFâ€. 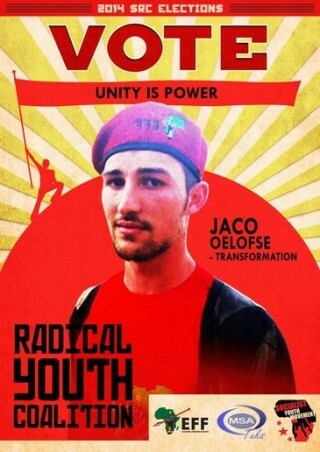 The headlines didnâ€™t mention that the student, Jaco Oelofse, is also an Afrikaner. But thatâ€™s what Steve Hofmeyr is here for. 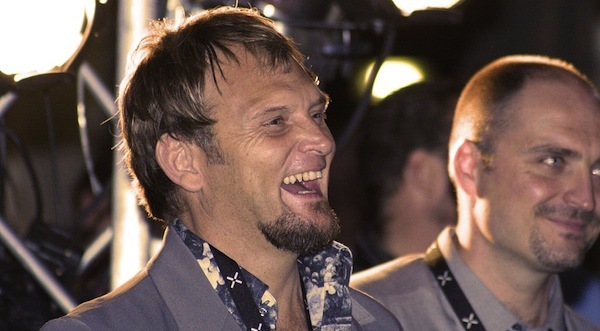 At the weekend Hofmeyr, 90s popstarÂ and self-proclaimed gatekeeper of all things Afrikaaner, penned an open letter to Oleofse on the Afrikaans language website Maroela Media, describing the studentâ€™s political beliefs as nothing more than a â€œradicalâ€ and â€œrebelliousâ€ student phase designed to shock older generations with â€œsomething newâ€. For Hofmeyr, Oelofseâ€™s membership in the EFF cannot be taken seriously because he is too young and only a student.Â â€œMarxism is but a beautiful theory with no foot in reality. Many outgrow it after campus,â€œ he writes. He dismisses Oelofseâ€™s belief that the land should be returned to its rightful owners, saying itâ€™s a little late for reparations. â€œReparations and corrections are acceptable, but unless it happens over generations, it is unethical; the wrong people are rewarded and the wrong individuals are punished,â€ says Hofmeyr. You can read Hofmeyrâ€™s full letter, in Afrikaans, on Maroela Media. A couple of comments to South African citizens. Young south Africans are idiots proven by the fact that they do not know what democracy means look at their actions They have no idea what the consequences could be. An ignoramus having a go at another ignoramus. But at least, I suppose, Oelofse can blame his naivety (should he ever manage to lose it). Hofmeyer has no such excuse. Also, white people have been reading for millions of years? Really? Maybe somebody should inform Hofmeyer that “The Flinstones” isn’t a documentary.